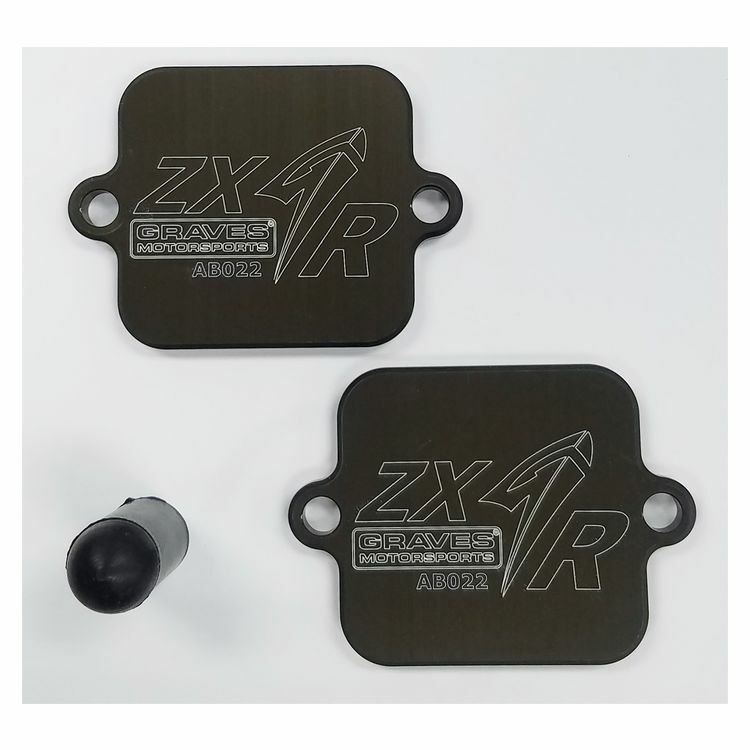 Graves Motorsports Smog Block Off Plates are designed to seal off the ports on the valve cover used by the air injection system (a.k.a smog pumps or AIS). The air induction system (AIS) burns unburned exhaust gases by injecting fresh air (secondary air) into the exhaust port, reducing the emission of hydrocarbons. Once these are capped off the air injection system can be safely removed. These Smog Block Off Plates are made from CNC'ed billet aluminum and feature the Graves Motorsports "G" logo.